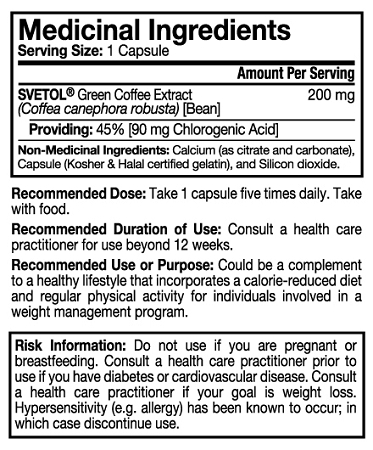 Q: How many of these capsules do you take a day and when before meals or after? A: For those willing to follow a calorie controlled diet, simple take one (1) capsule of Green Coffee Bean+ twice (2x) daily 15-30 minutes before your two (2) largest meals with 250 ml of water. 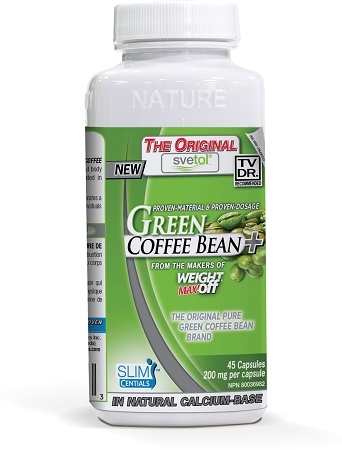 For those NOT willing to follow a calorie controlled diet, take two (2) capsules of Green Coffee Bean+ twice (2x) daily 15-30 minutes before your two (2) largest meals with 250 ml of water. Q: Are the capsules vegan - no animal products ? A: The ingredients in the Green Coffee Bean are free from animal products. The capsule however for the SlimCentials Green Coffee Bean is made with a gelatin cap. If you are looking for a vegan capsule we have the NutraCentials brand of products that are specifically made with a veggie capsules. NutraCentials Branded products can be found in health food stores specifically while SlimCentials can be found at most stores that sell quality supplements.